RIO DE JANEIRO — Brazil's president remains in the semi-intensive unit of a hospital in Sao Paulo with signs of a possible pneumonia infection. "He underwent a tomography of the chest and abdomen that showed a good evolution of the intestinal frame and images compatible with pneumonia," the hospital's statement read. 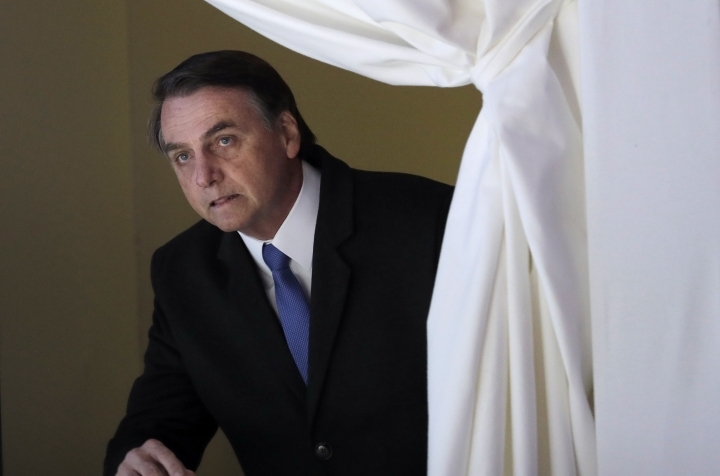 Bolsonaro checked in at the hospital on Jan. 27 for the removal of a colostomy bag put into place after he was stabbed during a campaign rally.